Playing the lotto online has become highly popular nowadays. The choice is obvious, buying lottery tickets online is way more comfortable than acquiring them at a local lottery office. You have the possibility to play any time of day and night without waiting in line to get your tickets or hurry before the lottery office or the convenience store are closed. You can play from any place in the world. Playing the lotto online doesn’t require to learn any new rules. The biggest advantage of playing the lotto online is having the possibility to play all the world’s biggest lotteries. Convenience stores, gas stations or local lottery offices give you the possibility to play just the local lotteries. LottoPark brings all the lotteries from all around the world at your fingertips. 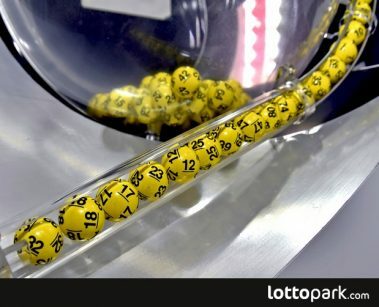 Mega Millions, Powerball, EuroMillions, SuperEnalotto or the UK Lottery? It’s up to you. Play one or play many! The lotteries listed above are widely known for the huge prizes, especially when a rollover occurs. The highest rollover has been recorded in Powerball and reached one and a half billion dollar. It’s not a surprise that more and more players decide to play lotto online and claim astounding prizes. We have prepared a few tips for you to make your winning odds bigger. The only working lotto system that doesn’t require you to pay hundreds of dollars for a non-working table or a piece of software is playing with system entries. Most of the lotteries allow you to participate in the draw with a system entry. You pick more lotto numbers than it’s required for a single line and participate with all the possible combinations of your set. How does a system entry improve your winning odds? Playing with a higher number of entries simply increases your chances of winning any prize. That’s not all, system entries may even increase your prize, as a single line includes many combination and it’s possible that you will win several prizes at the same time. The downside of system entries is the expense. System entries are more expensive, but there’s a simple workaround for that. You should play as a part of a lotto syndicate. Find a group of friends or family members and create a money pool to buy your tickets. This way the cost of the tickets will be split among all group members. If you don’t have any lotto fans among your friends or family members, you can join an online lotto syndicate. That’s simple as that. You have to play to win. The more often you play the lotto, the bigger are your chances of winning. Playing at LottoPark gives you so many lotteries to choose from that you can participate in a draw almost every day. Each passing day gives you a chance to become the next great lotto millionaire. You can check the draw results on our site. Pick a lottery, fill in your ticket and wait for the draw! Maybe it’s time luck would smile upon you.